Family, Stamping and FOOD! 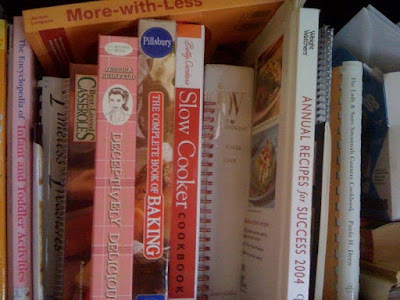 : I Love Cookbooks! You know how much I love monthly meal planning and doing once-a-month-cooking. Usually I would have already started working on our meal plan, but honestly, I didn't realize the month was almost gone until today! This is what I'll be planning our meals around. So it's time for me to surround myself with all of my favorite cookbooks. 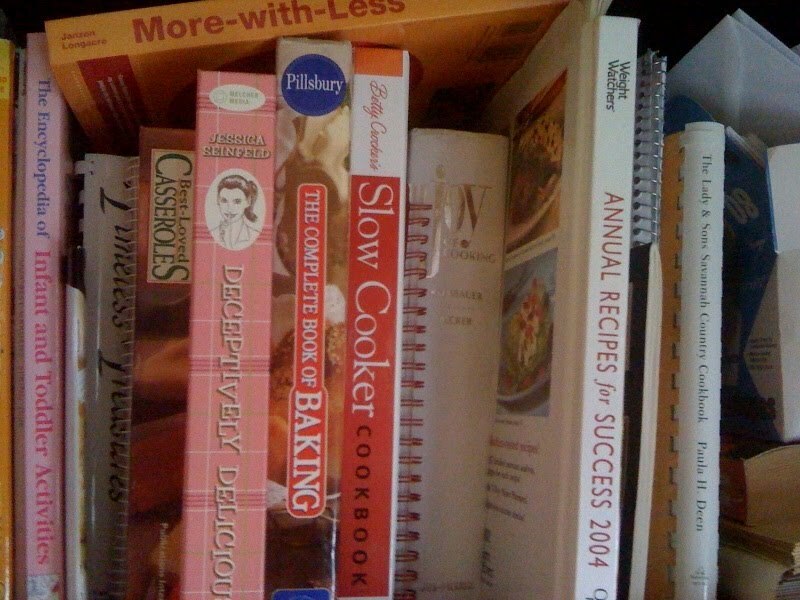 I LOVE Cookbooks! I have tons of them. Some are newer, some are older, some have been given to me by friends and family, and there are some I don't know where they came from! But they make me happy. It's something about taking raw ingredients, like listed above, and putting them together to create a beautiful and tasty meal. It makes me feel good to see my family enjoying what I've made for them. I know it sounds crazy, but while some find it a chore to cook for their family, I find it fulfilling to cook for mine. 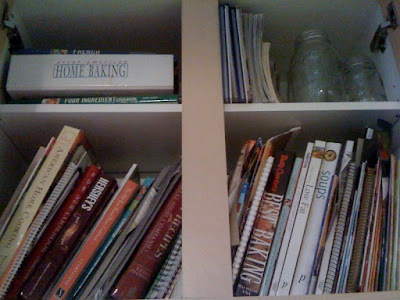 I have a SERIOUS cookbook addiction! Glad to see I'm not alone : )One of my new years resolutions was not to buy any more...it was that bad. Thanks for sharing your JOY this week!